Compared to it’s bigger brothers (the 737-800 and -900), I like the look of the -700 series the most. It has a perfect wing to fuselage ratio (IMHO) that makes it look well balanced from all angles. And a bit stout and muscular too, which can’t be said for larger versions of this same airplane. Because I like the looks of it so much, I drew this template at a slightly wider angle than most of my other ones. 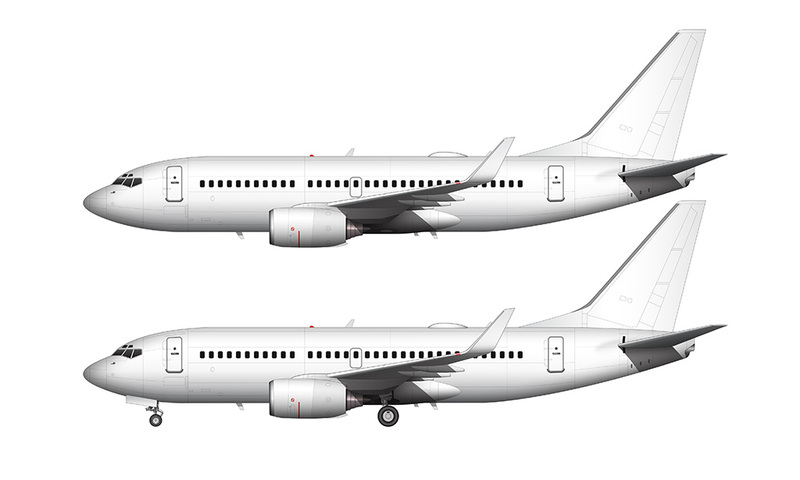 Doing this puts a bit more emphasis on the winglets, which I like, and I don’t think it’s extreme enough that it makes these drawings too artistic to be used for technical reference. Whereas all of my other templates are drawn as you’d see them through a 55mm camera lens (roughly), this -700 is drawn at more like 45mm. So, not so much of a difference but I think it creates a nice look. So now that I have the -700 and -800 variants of the 737 complete, I’m probably going to do the -900 before I go back and do some of the classics such as the -100 through -500 series. 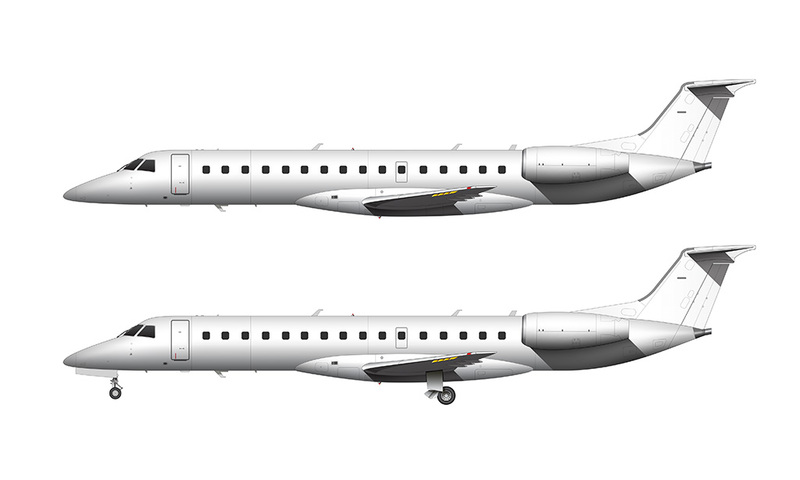 Those older versions will take longer to do because of differences in engines and wing structure, and I’m in no mood to psych myself up to tackle that kind of thing right now! Do you have this one as a complete 3D model? I am creating a course for airport fire fighters, and I am looking for a good 3D model. 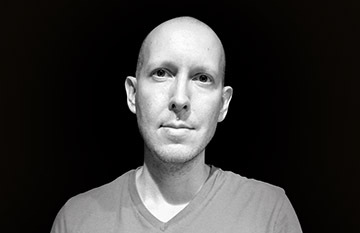 Hi Kristian – I haven’t yet built any 3d models of any aircraft. All of these images are 2d-based and generated in Adobe Illustrator and Photoshop. 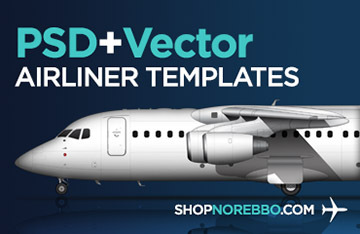 I’d recommend having a look at turbosquid.com, as there are some *really* good 3d aircraft models available for sale there. would you have the front and top view of that model? 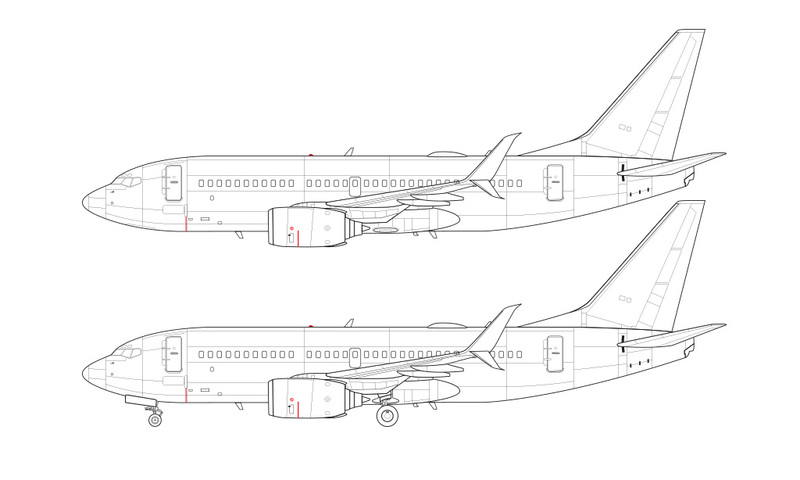 Hi Igor – I am thinking about adding other views to my template collection, and if I do, the 737 family will be the first.